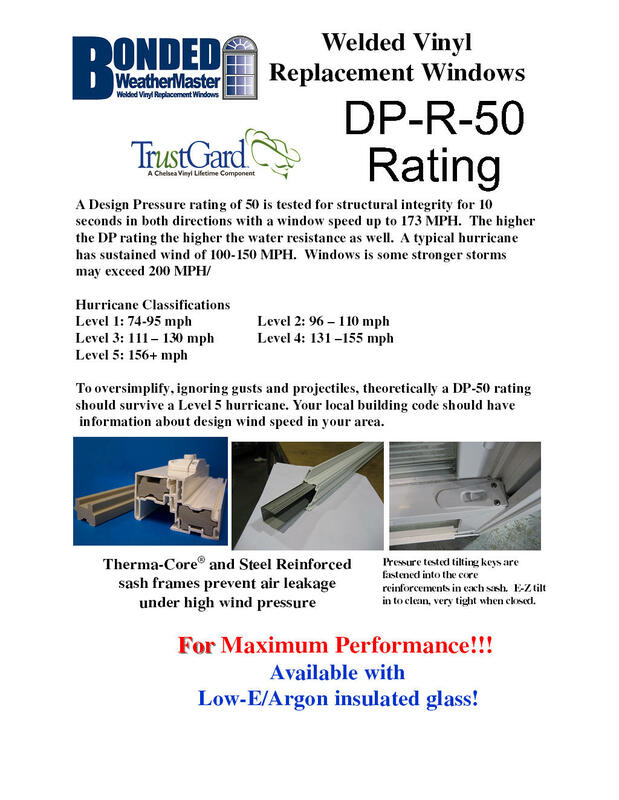 Rough weather, high windows and wind-driven rain water are stopped with the DP-R-50 TrustGard option. Reinforced with Therma-Core and galvanized steel, this window has been tested to meet or exceed Zone 1 wind levels, ideal for New Jersey and surrounding states. Special reinforced tilt housings and a high sill dam complete the package! Beauty and Style are clearly evident in this Award Winning All Welded, High Performance TrustGard 731 Series Double Hung window. From the smooth, uncomplicated interior to the decorative beveled exterior, this window captures the modern look that so many demanding homeowners desire. Now available Energy Star rated! But this window does more than just look good. Designed with dual full length weatherstripping at the meeting rails and dual weatherstripping around the perimeter of each sash, the TrustGard Double Hung provides exceptional resistance to the outside elements. The TrustGard system has a sleek exterior bevel, and utilizes a 7/8" thick, Intercept insulated glass system with a 20-year non-prorated warranty, as well as the Pivot-True® Constant Force Balance System.